When it comes to trail riding, sometimes you just want a basic bike that ticks all the boxes and leads to some great days on the mountain. 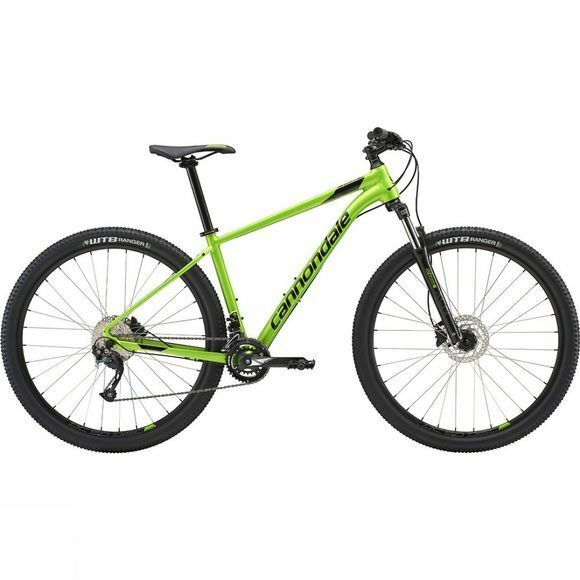 The best way to get into serious mountain biking; the Cannondale Trail 7 2019 brings a level of performance and handling normally associated with far more expensive machines. Their confident geometry, dialled spec and advanced frame technology make a difference you can feel from the first pedal stroke. With short stems and wide handlebars to maximize control in rough terrain, you can feel prepared for anything the trail will throw at you. The slack 68° head angle creates the stable, confident handling you need to rule the descents and short chainstays give the Trail an agile, nimble feel and provide great traction on steep climbs. This bike is created to give you the best experience for you. Refined butting, precisely controlled tube shape and Cannonadale's exceptional double-pass welds combine to create a top-notch frame. World class weight, great stiffness and that unmistakeable Cannondale ride-feel combine to deliver incredible performance value. With elements such as 29” wheels for the larger sizes, Dirt Tailored Geometry and SmartForm C2 frame features the Trail 7 can offer the best possible blend of fit, fast and fun for all riders.